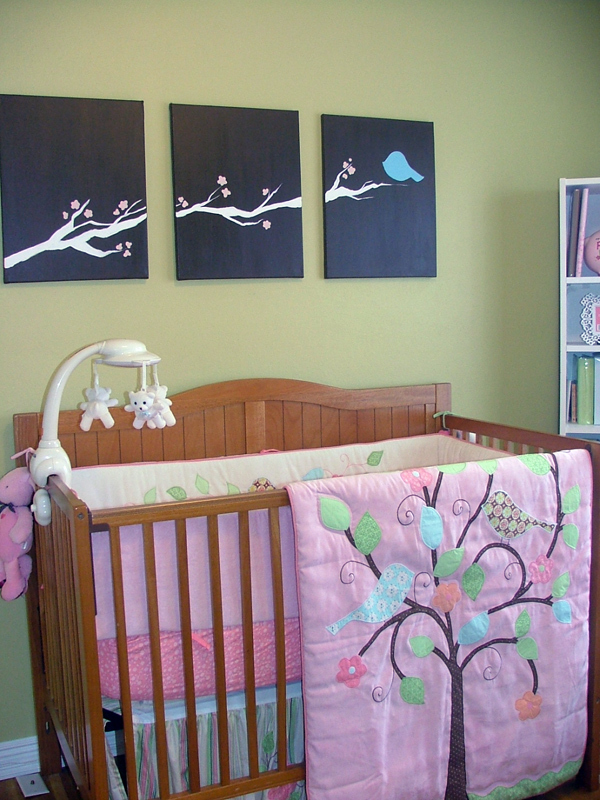 My daughter's crib was recalled, so I knew I couldn't give it away to goodwill. I was bound and determined to recycle it piece by piece and so far I've found a few different uses for it! Here is the crib before. 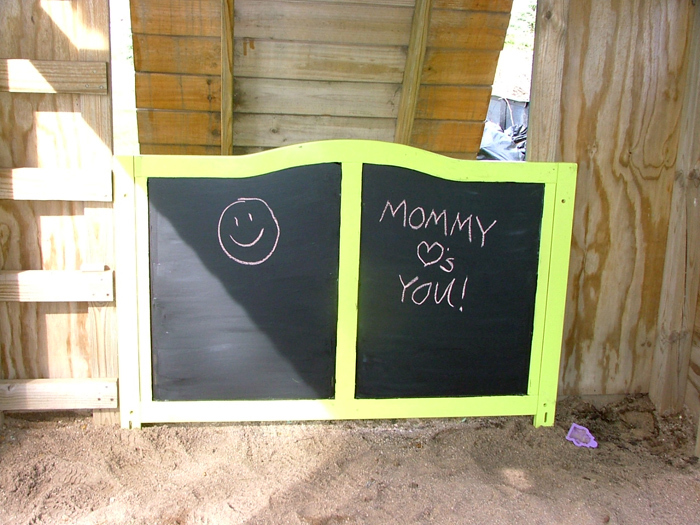 PROJECT 1: I took the headboard piece and spray painted it and added chalkboard paint. We don't have a lot of room in the house for it, so it found its place out in the sandbox. It makes a cute little addition and the kids just use their outside chalk. PROJECT 2: I had to enlist the help of my dad for this one. I just love it when I have the idea and he can come and finish the project! (retired = more time than me!) 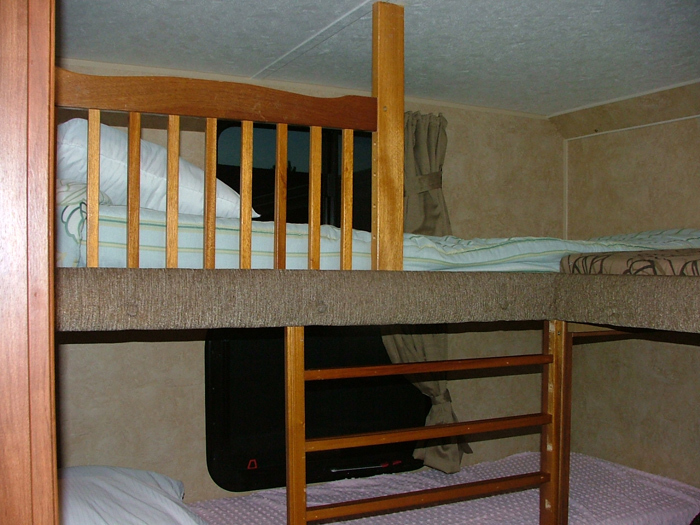 When we bought our camper I noticed there were no rails on the bunks so that's the first thing I wanted to change. We took the small piece that came with our crib for the toddler bed/daybed portion and used it as a new railing for the top bunk in the camper. Then dad made a ladder by doubling the spindles from the full crib railing. It is rather wide, so it is also useful as a barrier on the bottom bunk so no kiddos fall out! What a great looking crib!